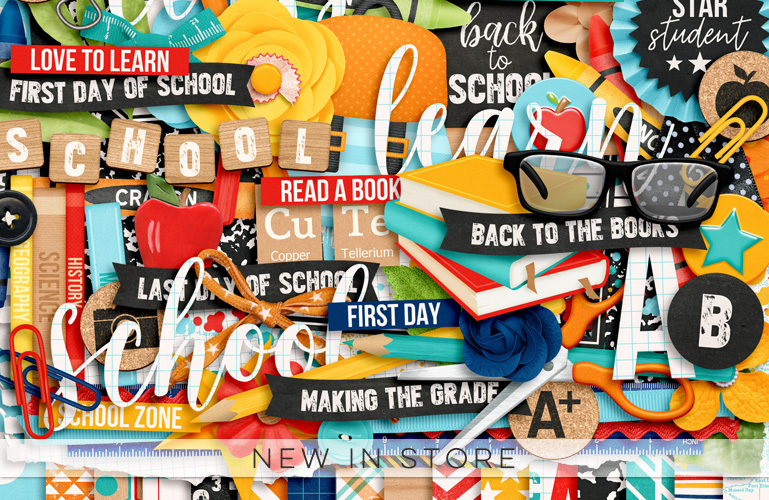 It’s (almost) time to get back to the books and I have the perfect collection in store this week to document all those great Back To School moments! 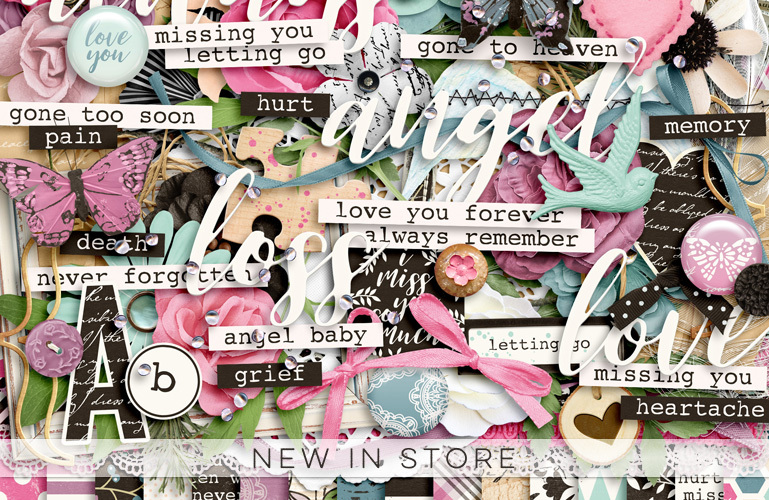 I have a beautiful new collection in store this week that is geared towards documenting some of the most difficult moments of your life and will hopefully help you create a beautiful tribute page of your missed loved ones. 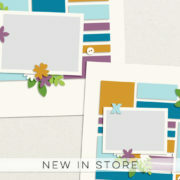 I have a beautiful new collection in store this week perfect for documenting relaxing moments by the sea! And a fun new template pack as well! 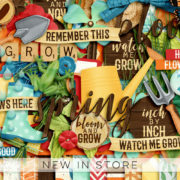 And best of all, we have a surprise storewide sale so everything is 40% off! And bundles even more! 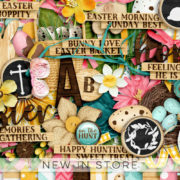 I have a great new template in store this week and the coordinating Stars And Stripes kit and bundle are on sale this weekend as well!! And we have a beautiful Free with Purchase this weekend as well! 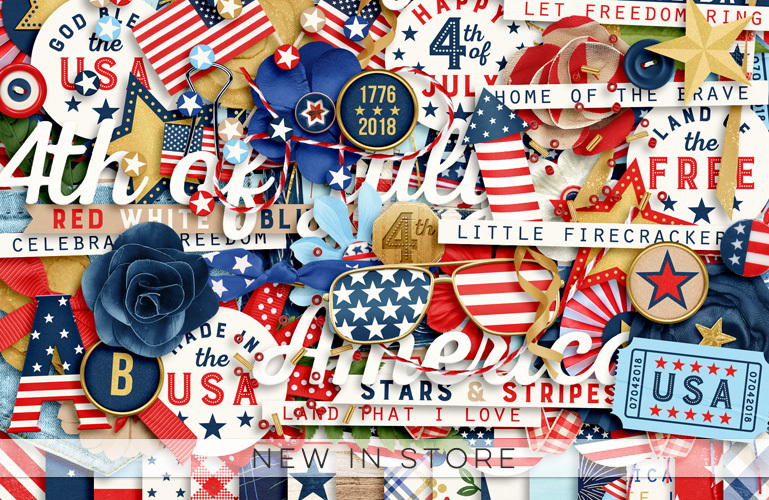 I have a beautiful new festive and patriotic collection in store this week, perfect for documenting all your 4th of July celebrations! 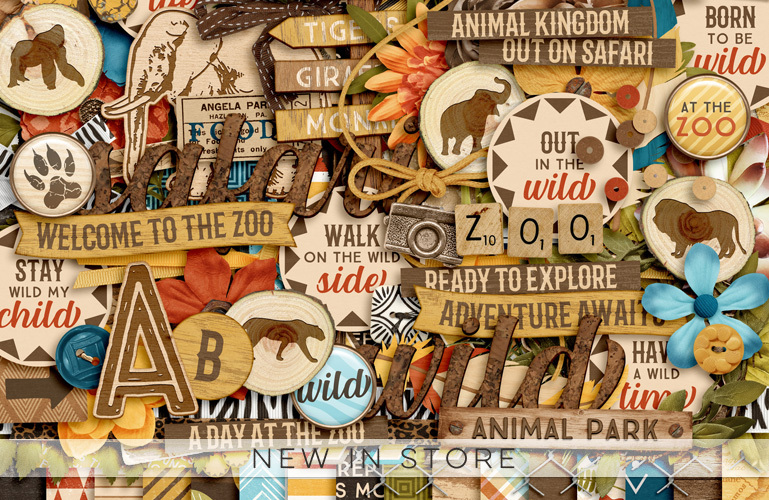 I have a beautiful new collection in store this week that is perfect for documenting everything from trips to the zoo to safaris to Disney’s Animal Kingdom! And you get a special Free With Purchase when you buy the bundle! 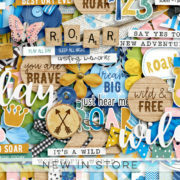 I have a beautiful new collection in store this week! 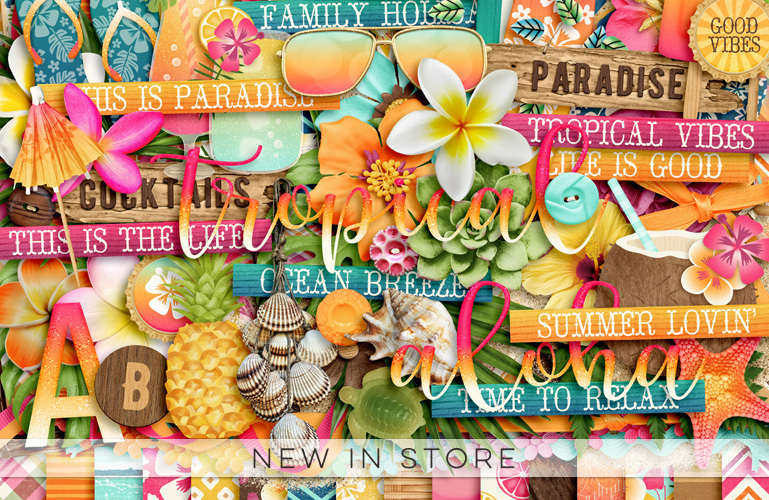 Tropical Vibes is filled with hand-drawn illustrations and perfect to get in a sunny state of mind! It’s on sale all weekend! 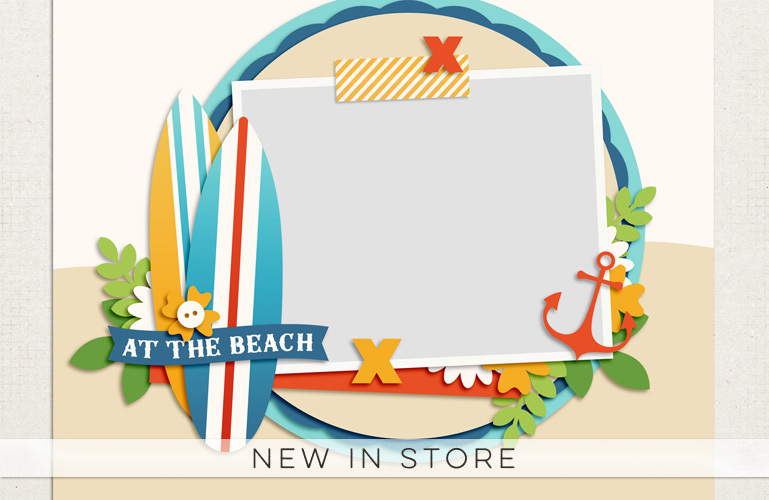 I have 2 fun new templates in store this week that coordinate with the beautiful Sun, Sand & Sea bundle that was released during iNSD! They’re on sale all weekend! Happy iNSD everyone! 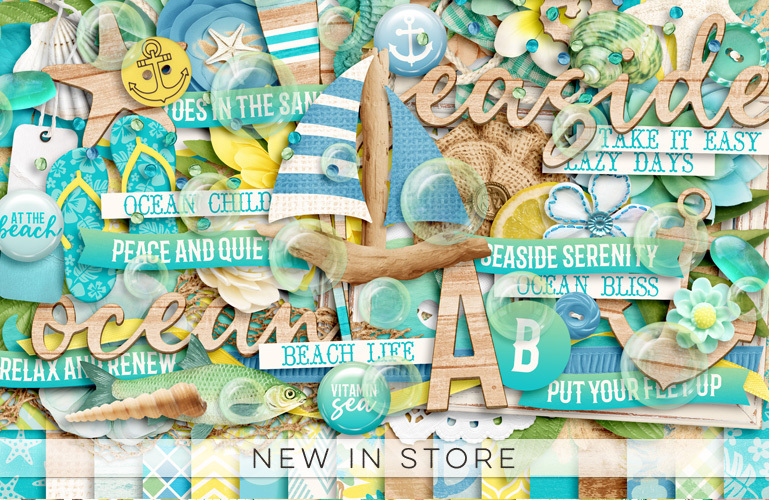 I have 3 beautiful coordinating collections new in store today that celebrate everything Sun, Sand and Sea! And everything in my store, including new releases, is at least 40% off! 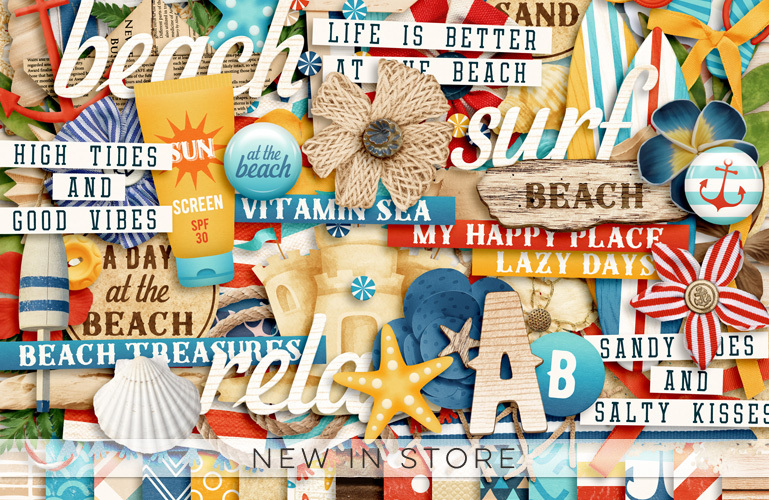 The new Sun, Sand & Sea Mega Bundle is a whopping 58% off for the next 3 days! We also have some great FREE with purchase offers and games and contests in the forum! 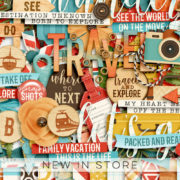 I am the new Featured Designer at Sweet Shoppe! 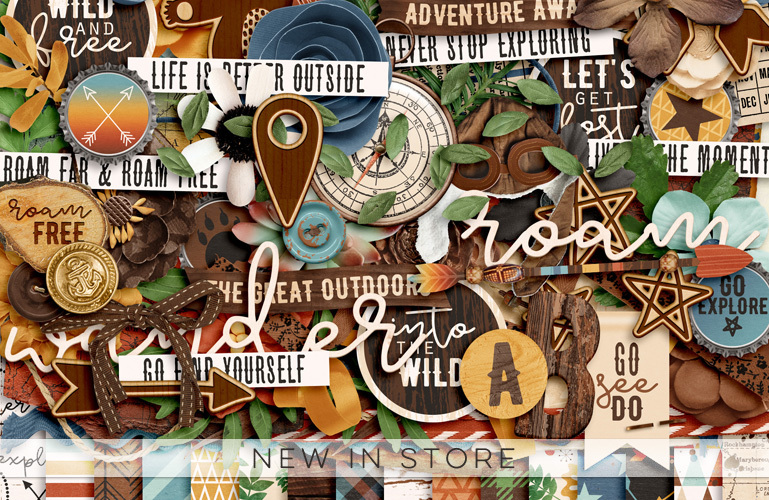 Which mean you get the beautiful, outdoorsy kit Go Explore FREE with your $10 purchase! I also have some coordinating extras that are on sale this weekend! And a fun new template as well!